On the day The Blazing Trail marks her first Birthday, here’s to say thanks to you all for your heartfelt support this eventful year. There were many potato moments…burgonya, krumpuli, papas, blue/purple berries (how I long to hear some more! ); countless insights, profound moments of interaction and learning experiences in the year that was. The moments of laughter were hilarious in particular…unforgettable! Thanks for the inspiration depicted in your resilience that made me believe with each new day I would make it through.To each one of my friends, critics, followers, visitors and admirers, thank you.Thank you for all. You’ve been my 2012 wow moment! I dedicate this day to you. It’ s back where I started from. As I look forward I can only say I do so with a great sense of optimism in the spirit of a shared passion montaged from each one of those beautiful smiles that underlines the unique community we are! Please stay on, keep it real and shining. I have been at a loss finding the one word that could simply and vividly paint the picture for this year so if any one of you out there has some insights, pls come to my rescue…and lace it with a potato moment while at it! If you have an unforgettable moment or post for this year, do share the link with us. I wish to accept a few awards in marking this wonderful day. Thank you George http://euzicasa.wordpress.com/ for nominating me for the Tell Me ABOUT YourSelf AwArD. Tell me About Yourself Award. You will find great substance and inspiration in George. 1.Thank the person who nominated you! Our wedding Anniversary falls on December 18th! It’s a decade this year since the passing on of my great grandmo’ ; a mentor,family champion and wellspring of grace. Thank you Teju https://singingsparrows.wordpress.com/ for this fantastic recognition. Feels really special joining the circle. If anyone needed to read something that will leave them really exhilarated, then Teju’s About page will do you some justice! ‘A great blog is something which inspires hope, is about people and is real. 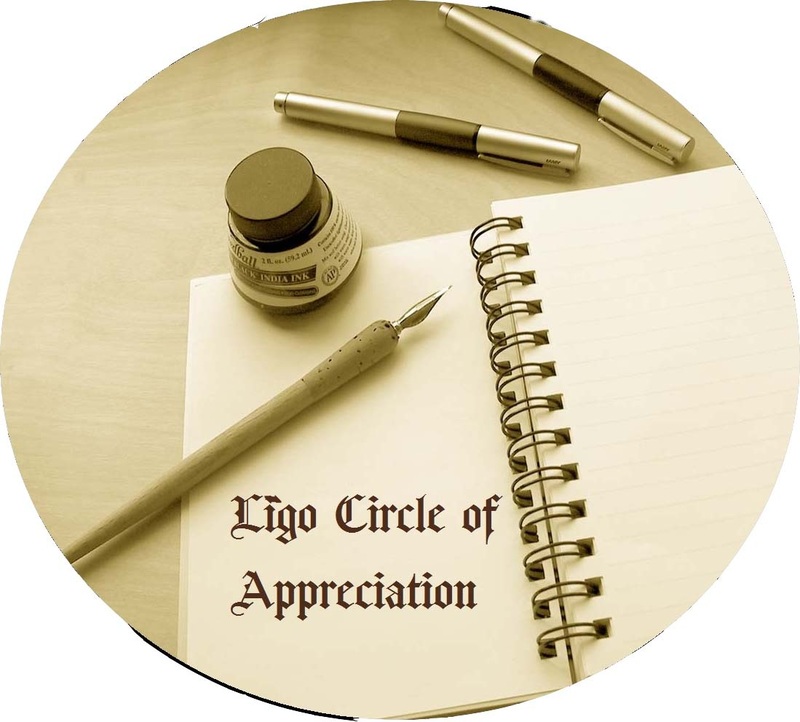 Note: The ‘Līgo Circle of Appreciation’ is a recognition bestowed on fellow bloggers and is not an award. Iam most thankful to http://catnipoflife.wordpress.com/(you will be captivated by her poetry) for nominating me for my first Blog of the Year 2012’ Award http://thewhyaboutthis.com/2012/11/27/believe-it-or-not/ and to meiro http://meirozavian.wordpress.com/ (her touch of ambiance coupled with thoughtful pieces will draw you to linger longer) for nominating me for the second and third, in addition to the Very Inspiring Blogger Award and the Sunshine Blogger Awards which have generously dotted my award trail this year. 1 Select the blog(s) you think deserve the ‘Blog of the Year 2012’ Award. 2 Write a blog post and name/tell us about the blog(s) you have chosen – there’s no minimum or maximum number of blogs required – and ‘present’ them with their award. 6 As a winner of the award – please add a link back to the blog that presented you with the award – and then proudly display the award on your blog and sidebar … and start collecting stars… Yes – that’s right – there are stars to collect! Unlike other awards which you can only add to your blog once – this award is different! When you begin you will receive the ‘1 star’ award – and every time you are given the award by another blog – you can add another star! There are a total of 6 stars to collect. Which means that you can check out your favorite blogs – and even if they have already been given the award by someone else – you can still bestow it on them again and help them to reach the maximum 6 stars! “What’s going on here? Who exactly is this child? Someone please explain to me!” Pillar blurted out in frustration. “This King!” Sky scrapper interjected impatiently. “We are not hearing the end of this intuition drift are we? Guess you just made a big point there though. It’s a big paradox this one. Come to think of it. The child represents a reality way beyond as well. Exactly what happens when two worlds collide. We guys are of course right at the centre of it. And that’s almost by fate. This child is destined for greatness thus, right? I hope when my wife goes on labor, it’s to usher in a daughter!” The prolonged laughter reverberated on the hills across the plains. “God bless your intuition Tower!” spoke a much calmer Pillar. Sky scrapper sighed heavily, staring thoughtfully into the sky, his tone gently oozing authority and great conviction. “I am advanced in years and grateful to the heavens for the opportunity to witness this glorious culmination before I am on my way to the other side. What an honor. You all hopefully have lots of time in your hands. Strive earnestly in your ambition to find your definition, meaning and significance within this star, child or king whichever works for you. You will be wise indeed if you heed. Your onus.